If it's one thing Martin knows, it's finely crafted and vintage instruments. 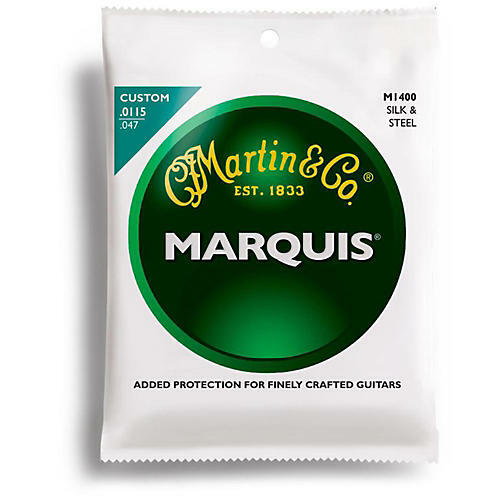 Martin created their Marquis line to pamper your guitar by adding a soft thread wrap at the ball ends which prevent wear and tear on the bridge and end plate as you play. This thread wrap puts a comforting layer of protection in place every time you change your strings.